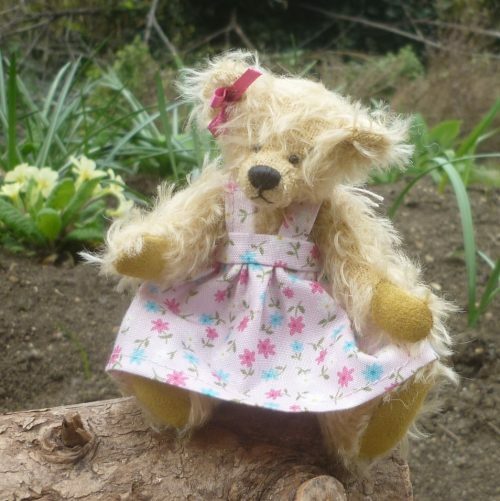 Nicky is made of blond mohair and wears a floral pinafore dress . She has onyx eyes, ultrasuede paws and has a ribbon stitched to her right ear. Filled with polyfibre and slightly weighted with steel shot.